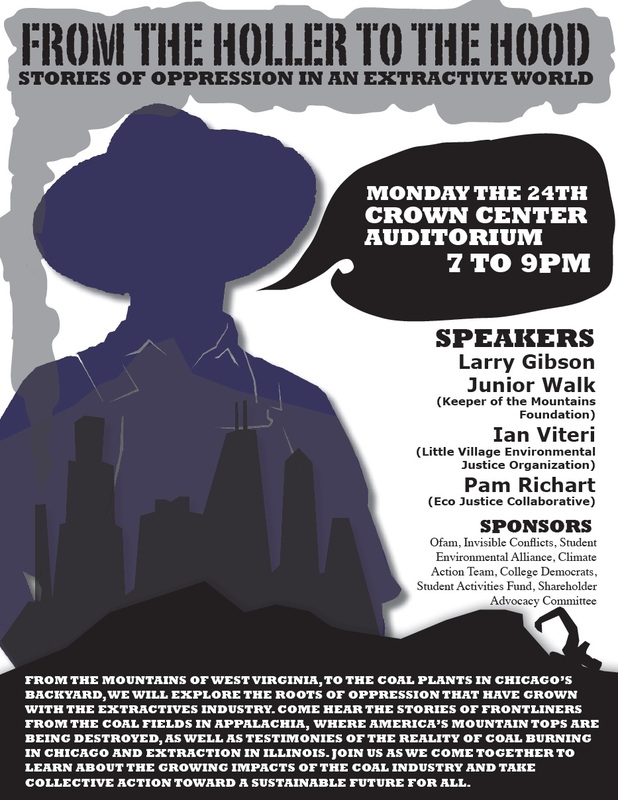 Chicago, IL, January 24, 2011--Larry Gibson an Appalachian Hero in the struggle against Mountain Top Removal coal mining will meet Tuesday morning with Chicago Alderman Joe Moore, the lead sponsor of the Chicago Clean Power Ordinance, to discuss the devastating health and environmental effects that reliance on coal as an energy source has brought to their two communities. The two will note how the entire life cycle of coal destroys lives and ruins the environment, from the rural mountain communities where it is extracted to the large urban cities where it is burned. With the recent US EPA veto of the permit for Spruce Mine, the largest single mountaintop removal mine in West Virginia history, and the current push to pass the Clean Power Ordinance in Chicago, now is the time to begin moving forward to renewable energy and away from the fossil fuel industry. “I met Larry Gibson in 2009 when I first visited West Virgina as part of a delegation led by Rogers Park-based Eco-Justice Collaborative,” said Alderman Joe Moore, lead sponsor of the Chicago Clean Power Ordinance. “What we are talking about isn't 'just' mountaintop removal strip mining, it's the annihilation of entire mountains for cheap energy”, said Larry Gibson of the Keeper of the Mountains Foundation." Gibson was born on Kayford Mountain in West Virginia and moved to Cleveland with his family as a child. After retiring from General Motors on disability in the early 1980s, he returned to West Virginia and his mountain. At the time, he discovered the family's 500 acres had shrunk to 50 acres. The coal company had acquired the rest. When Alderman Moore returned from Appalachia, he responded to Gibson’s challenge to take action. “In Chicago, we have two old coal plants that not only are causing respiratory problems and premature deaths, but also are the largest stationary sources of global warming pollution,” said Moore. “I have introduced an ordinance in the Chicago City Council that calls for the clean-up of these plants”. A few weeks ago, the US EPA revoked the Spruce Mine permit which stopped what would have been the largest mountaintop removal operation in West Virginia. This action was historic as the 2,300-acre mountaintop removal mine previously had been permitted by the U.S. Army Corps of Engineers. The Chicago City Council Committee on Health is scheduled to hold a hearing on February 14th on the Chicago Clean Power Ordinance. “When this ordinance passes, it will be just as historic as the veto of Spruce Mine,” said Moore. “To date, no major metropolitan city in this country has passed an ordinance that regulates the harmful emissions coming from the stacks of its power plants”.